We don’t follow news trends. In fact, our model is to avoid them at all cost. Sure, it’s a safe bet to say that algorithms are a great tool to have in the box, but we believe nothing beats good old fashioned listening to people talk about what is important to them. From weather coverage to human interest, we gather the news stories that matter to your audience. Our focus groups happen in checkout lines, on street corners, bank lobbies and places that you frequent. We don’t follow the leads of consultants and news managers. We are producers, reporters and analysts working to bring you the best content around that originates right here in Texas. We are newspaper people. We understand what a big story is and how it impacts the community. 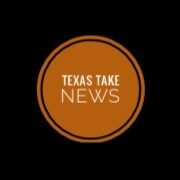 Texas Take News publishes its own flagship newspaper in Corpus Christi and knows just how hard it is find the content that you need. In depth stories that matter. We are deliberately different news.